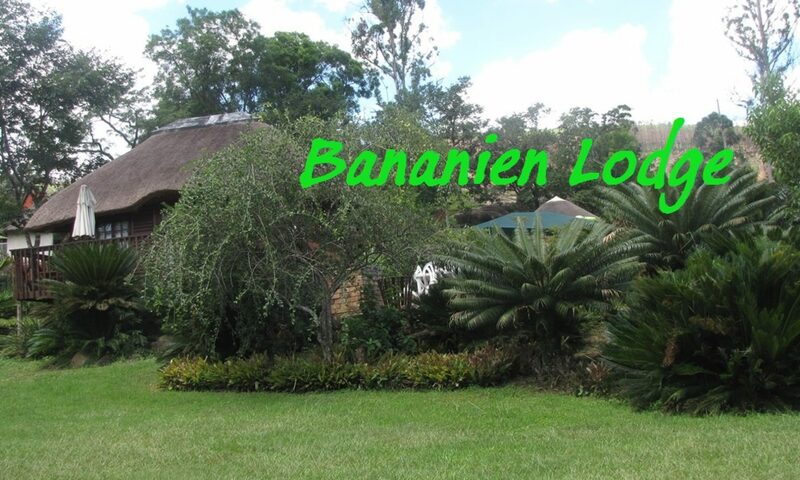 Bananien Lodge Sabie is situated 7 km from Sabie town, on the (R536) Hazyview road, adjacent to the Sabie River. Come and enjoy true Sabie hospitality while you relax and cool off with a sundowner on the wooden deck of your Log Cabin. Take time to enjoy the leisurely and peaceful ambiance of poolside relaxation with a splash pool for toddlers. Surrounded by Mountains, the soothing sounds of the waterfall and bird calls. This is what makes accommodation in Sabie so unique. 5 Self-Catering thatched roof Log Cabins and one thatched roof Rondawel. Equipped with ceiling fans, bedding, cutlery, crockery, fridge, hotplate and braai-area. Please bring own swimming towels. 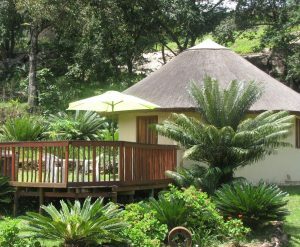 Bananien Lodge Sabie is a perfect base from which to explore the Panorama route, Kruger National Park and all the other major attractions of the Mpumalanga region. 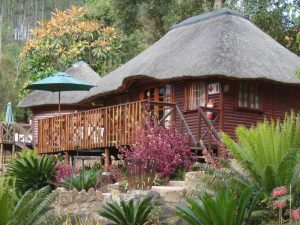 These luxury self-catering, thatched roof Log Cabins and Rondawel, which sleeps one to four persons each, has a private braai-area where you can escape from reality for a while! 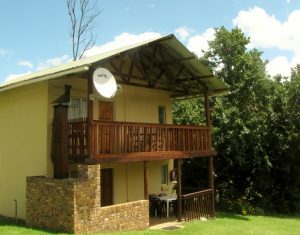 One self-catering double storey Guest House, fully equipped kitchen, two bathrooms, lounge and sleeps four to eight people. Built in braai-area. Units are serviced daily, except on Sundays and Public Holidays.